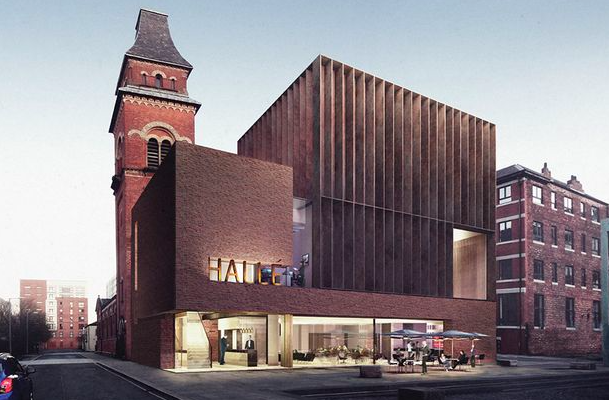 Booth King is working as structural and civil engineers for this high profile new project, for The Hallé at its St Peter Street rehearsal space in Ancoats. Following a RIBA (Royal Institute of British Architects) design competition in February 2016, Manchester’s acclaimed symphony orchestra chose the design produced by the team which includes: Booth King, architectural practice Stephenson Studio, acoustic specialists ARUP and M&E consultant Max Fordham. The existing church building was built in 1859 and was the first Anglican church in the neighborhood. 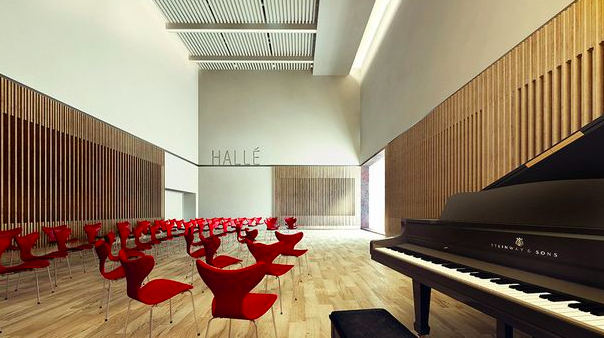 The Hallé moved into the church in 2013 after a huge regeneration effort to restore it to its former glory, giving it a permanent rehearsal base for the first time in its history. The extension to the Church will create a 350 seat Concert Hall, a 100 seat Recital Hall, a full academic school and a plethora of music teaching and practice spaces. The brief for the design was to create a unique and contemporary new building for the musical and academic teaching facilities, providing a state- of-the-art environment which will be a fitting platform for the students, creating a new space that would complement the old St Peter’s building.